Update: Read my bigger, updated New photo guide to dungeon master’s tools. 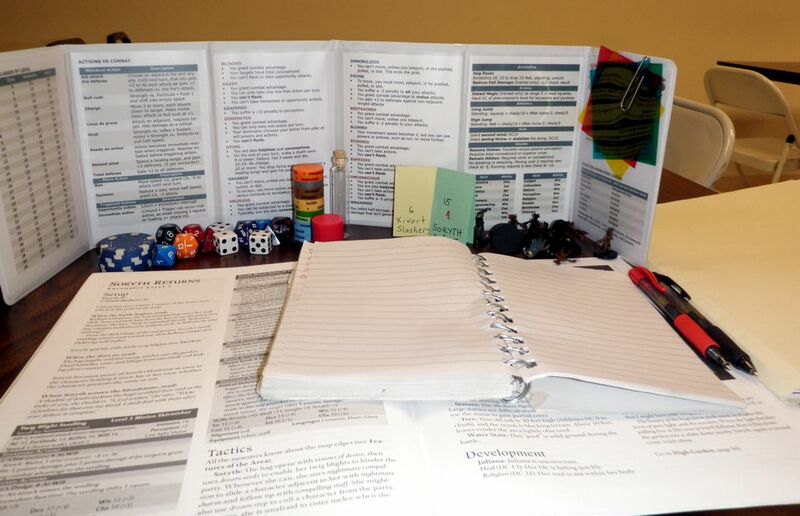 As a dungeon master or game master, you can run a fun game with almost no gear, just a couple of dice, a pen, and some note paper. I prefer to operate on the other end of the spectrum, with a full array of miniatures, markers, and props. This guide takes a tour through the tools in my DM’s kit. You do not need any of this equipment, but I suspect you will see some items to add to your case. Most of my essential gear fits into a translucent-plastic, compartment case . Removable dividers make the compartments’ size adjustable. As visible in the photo, I half-filled some of the compartments with foam rectangles. This prevents miniatures from banging around and makes small items easy to reach. When I need space for a larger miniature, I pluck out the foam for extra room. When I travel light, I only need this case and a battlemap for a game. I typically use a DM screen. I prefer the 6” tall mini version of the World’s Greatest Screen from Hammerdog games. This screen is constructed like a loose-leaf binder, with clear-plastic pockets on both sides. I filled the DM-side pockets with the tables and rules I needed most at the table. Stuff the players’ side with your favorite fantasy art. I have created rules inserts for fifth-edition Dungeons & Dragons, which you can download as a PDF file. Put them in the Hammerdog screen, or just put the inserts on cardboard and fabricate your own screen. I always carry a blank battlemap. The Pathfinder flip-mat works with both wet- and dry-ease markers and folds for easy storage. When laid out, the mat tents a little at the creases. The Chessex Battemat rolls out and lays flat, but the rolled map is harder to carry. This vinyl map limits you to wet-erase markers. When I use folded poster maps, I typically make the map lay flat by covering it with a Lexan Polycarbonate Sheet —the sort of material used for storm windows. The Lexan sheets cost more than Acrylic, but they resist cracking. 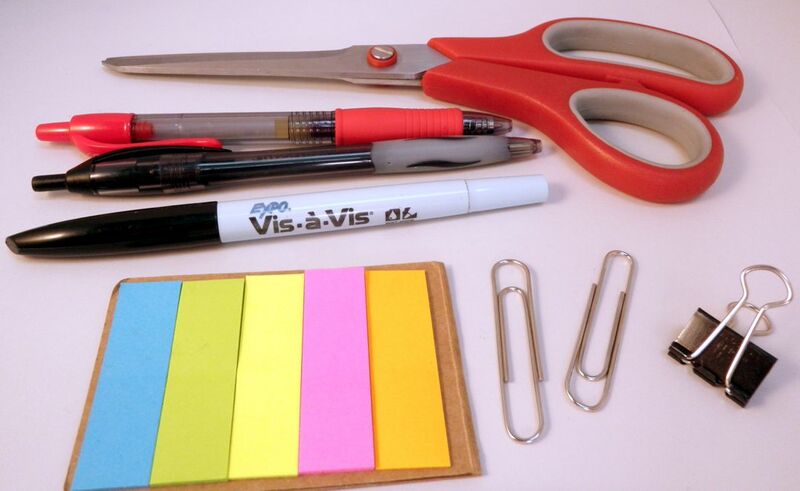 By using wet-erase markers, you can write on these sheets and then erase. Purchase these sheets from your local home-improvement store for under $20. When I use Dungeon Tiles, I arrange them on sheets of non-slip drawer liners , available anyplace that sells housewares. The liners grip the table and keep the loose tiles in place. These lightweight liners easily roll up for transport. For all but the simplest layouts, loose tiles take too long to arrange on the table, so I like to assemble maps in advance. I use removable mounting putty to stick the tiles on foam-core art boards. 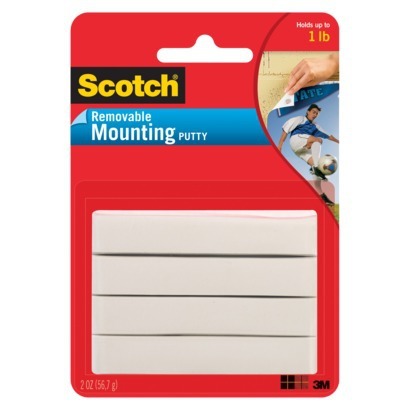 Office supply stores sell both the boards and the putty. Get the Removable Adhesive Putty , and not clear removable mounting dots, because the clear stuff sets after a while and will damage the tiles. I transport my maps and Lexan sheet in a inexpensive, artist’s portfolio case . For reasons explained in “Rolling in a box,” I always make die rolls in full view of the players. 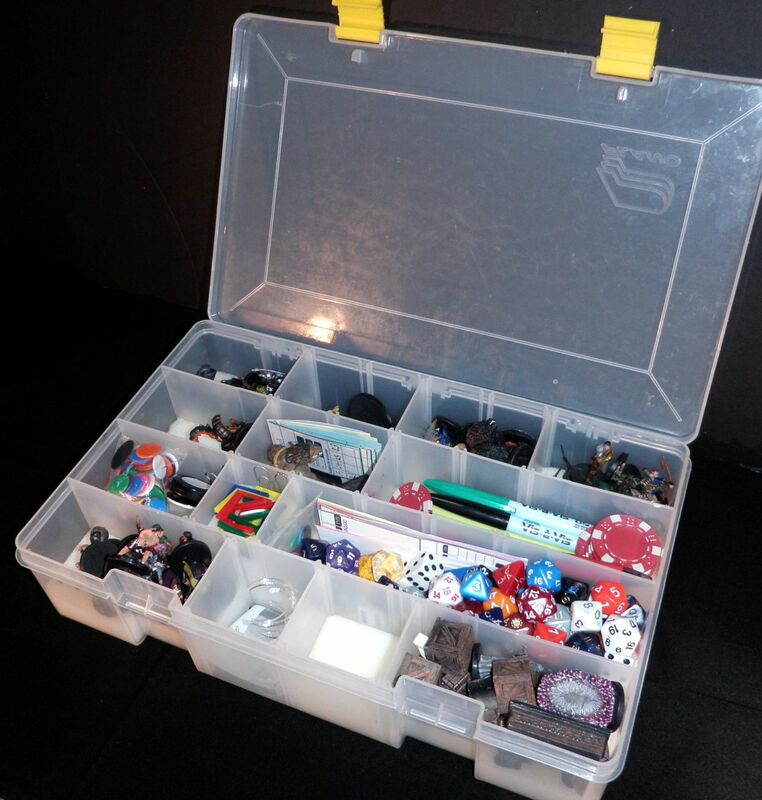 To keep my dice corralled, I roll into a clear, plastic box purchased from a craft store. The box packs easily, takes little space on the table, and never hides the outcome of a roll. Plenty of folks use cheap or free methods for tracking status effects on the battlemap. When I started with fourth edition, I twisted pipe cleaners into rings and tried using the rings as markers, but this approach fell short. At best, only I knew what status corresponded to a particular color. By the time everyone else adds their bottle-cap rings, tiny rubber bands, and other refuse to the battle, the miniatures look like Christmas trees and no one knows what’s going on. 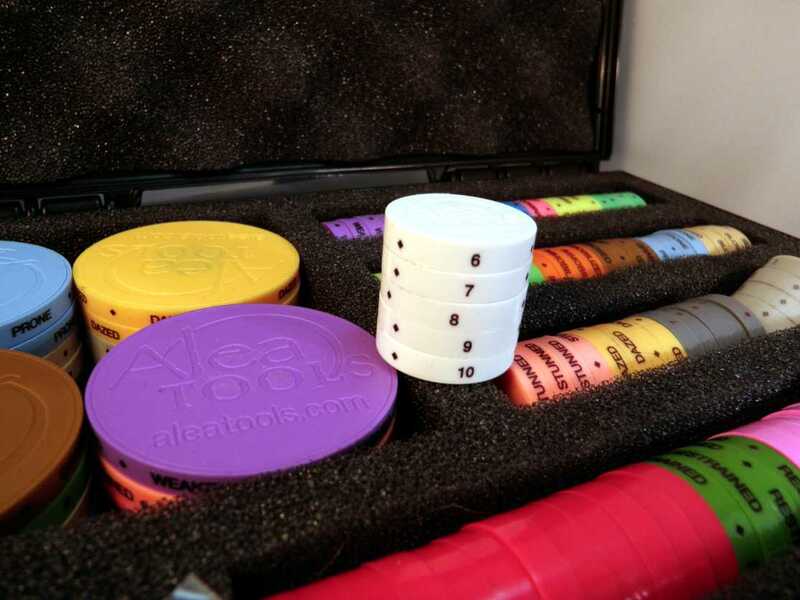 Ultimately I invested in a set of Alea Tools magnetic status markers. You can mark the edges of these markers with adhesive labels so everyone can read the status names. 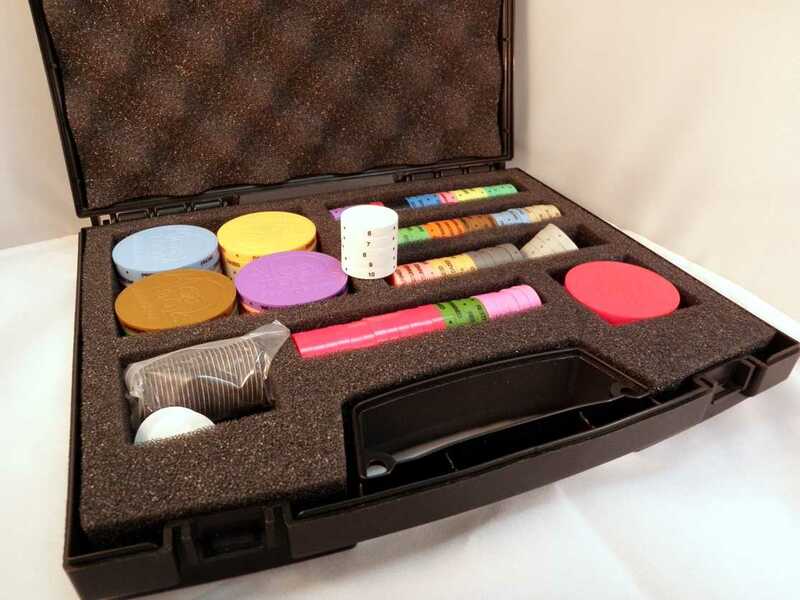 The markers cling in place, and a storage case makes organization easy. When I lack miniatures for a game, I use my numbered markers as tokens. 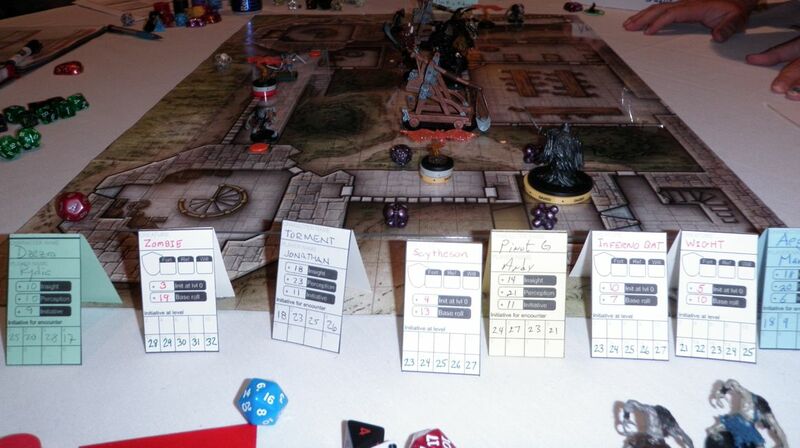 When Dungeons & Dragons Next supplants fourth edition and eliminates much of the need for markers, I will miss them. However, I’ll always use the numbered markers to tell one identical monster figure from another on the battlefield. 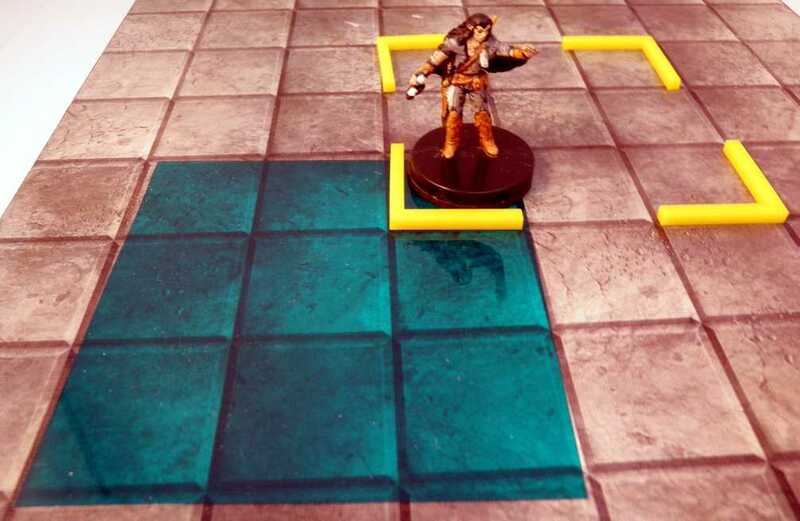 Colored plastic disks provide any easy way to mark the location of things like a key, a magical glyph, or a wall of fire on the battlemap. Because the disks lay flat, miniatures will sit on top of them. I purchased my set from a convention vendor. 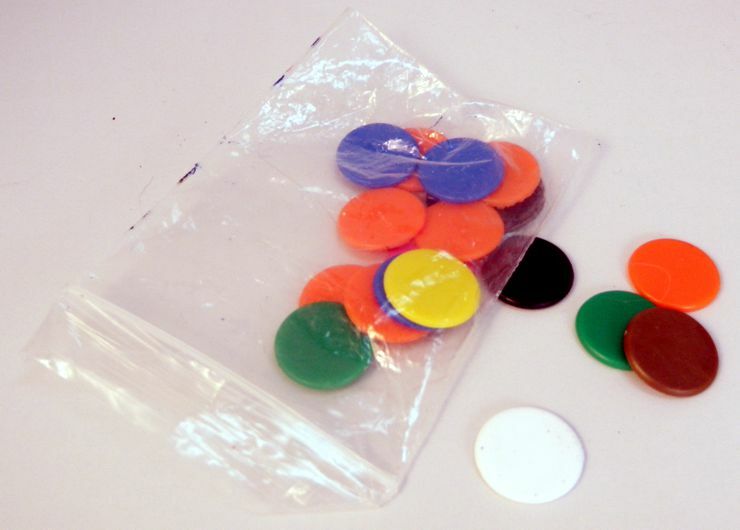 You can also buy plastic counters online. Sometimes, I use these dots to resolve area-effect attacks that target a large number of figures. I lay a colored disk by each figure, then roll attack dice in colors matching the disks. The colors link the attack rolls to the figures, so I can roll a handful of dice once to resolve all the attacks. This method works best when I’m playing, because I can set my disks without interrupting other business at the table. As a judge, I typically just ask a player to point out targets for individual rolls. 3×3 colored transparencies. I keep a set of transparent, colored sheets clipped to the inside of my DM screen. Whenever someone drops, say, a cloud of darkness, I can lay down a sheet on the battle map. Because you can see through the sheets, the terrain stays visible. 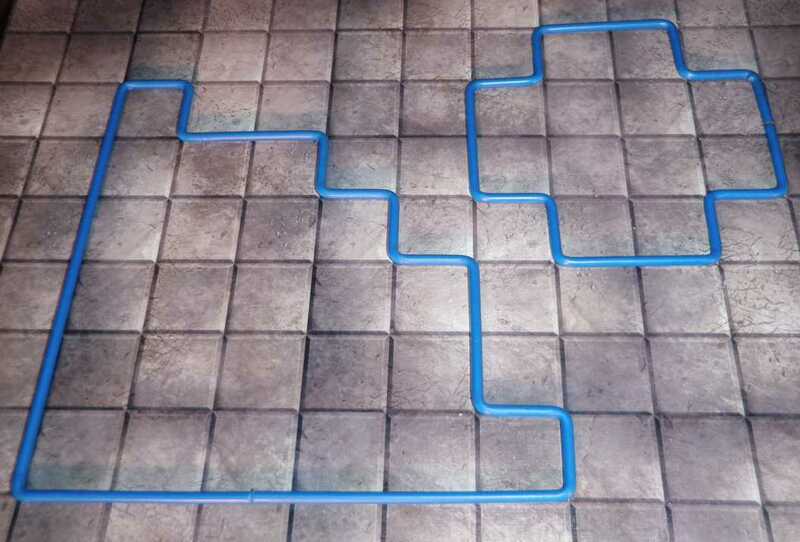 Typically, you only have to lift one or two figures to place a small sheet, which is easier and faster than marking each of the area’s four corners. You can purchase the transparencies from American Science and Surplus. Boundary markers. These plastic angles mark the four corners of square areas. The boundry markers from Litko Game Accesories come cheap, work for any size area, and allow the miniatures to stay put. Area-of-Effect Templates. For third-edition D&D and descendents like Pathfinder, I recommend the wire templates from Steel Sqwire. Frugal gamers can bend and snip templates almost as nice from coat hangers. A line-of-sight indicator reels out a string that you can stretch between figures on the battlemap to see if obstacles block the line. The string is spring loaded, so it draws back automatically like a tape measure. 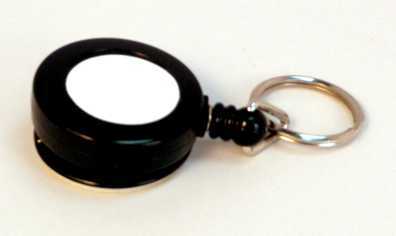 Paizo sells these, but office supply stores and Amazon offers the same item as a retractable badge holder . I track initiative using folded, card-stock tents with names written on both sides. I drape the tents across the top of my DM’s screen in initiative order. If you work without a DM screen, or prefer to delegate initiative to the players, you can stand the tents on the table, lined up in order. Obviously, your DM kit requires regular pens and pencils as well as wet- or dry-erase pens suitable for your battle map. I bring clips so I can affix maps and pictures to my DM screen in the players’ view. Any convention DM must carry scissors to cut apart certificates and player hand outs. Post-it flags enable me to affix reminders to my initiative tents, so I can remember when conditions lift, and when the purple worm will burst from the floor. I give players poker chips to represent action points. Different colored chips can also account for magical talismans, blessed elixirs, keys, and other items players must collect or use during the course of an adventure. 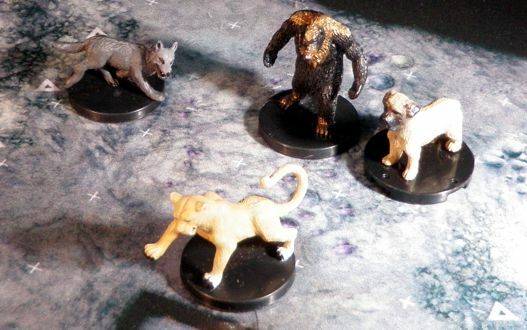 As I confessed in “Lair Assault: Kill the Wizard – I made a Drowslayer,” I enjoy representing the action on the table with the correct miniatures. Bystanders and civilians. 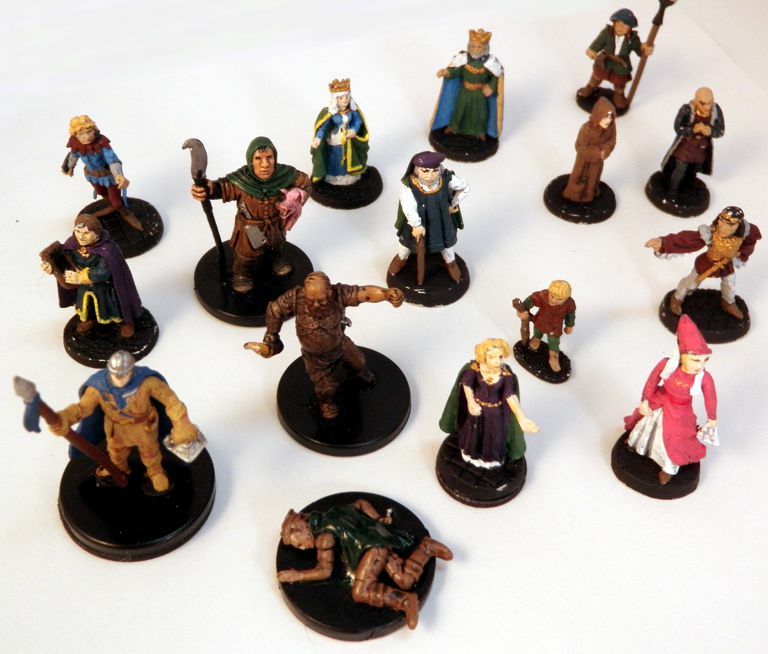 As I wrote in “Using your players’ metagaming to mess with their heads,” miniature figures for unarmed civilians can serve as bystanders to be protected as moving obstacles. Civilian figures can set a scene and defuse the players’ notion that every figure is a threat. You can find townsfolk from TurnKey miniatures, Dungeon Crawler, and Reaper’s Bones lines. Animal companions. Fourth edition made various types of animal companions more playable than any previous edition. In my experience, pets resonate for some players, and they collect as many the rules allow. However, players of pets rarely bring figures for their entourage, so I bring an assortment to lend. Now if only some vendor would create a medium-sized figure for the runaway most popular animal companion—the displacer beast. The flying figure stands from Litko game accessories offer a way to mark airborne figures. The stands allow you to position one figure over another, or to set a die under a flying figure to indicate elevation. The flight stands come in three pieces that require assembly. Typical CA glue will fog the clear acrylic, so I suggest using the Craftics #33 Thick Acrylic Cement. Use nail clippers to trim the long tabs on the vertical support so they fit flush with the base and platform. Pack the stands carefully, because they snap easily. I carry a couple of corked glass vials from American Science and Surplus. While completely unnecessary, I find them enchanting and I sometimes use them as prop potions. While completely inessential, I pack some miniature dungeon decor to add to the battlemap. Figures such as chests, statues, and altars can add three-dimensional flavor to the battlemap, while calling attention to important features. 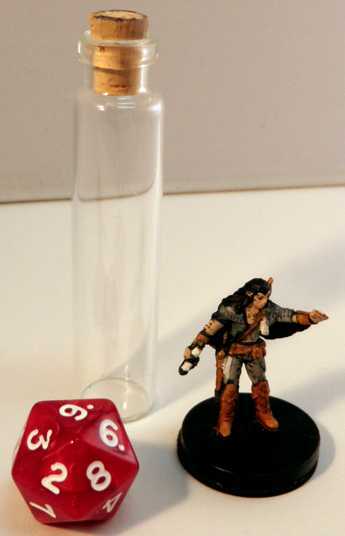 Ballistas appear in enough adventures to make a figure useful. 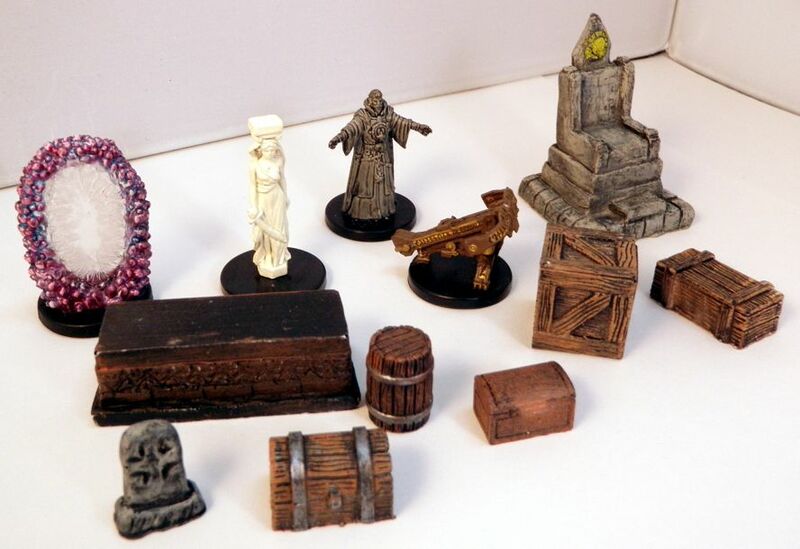 The photo below features items from more recent D&D miniature sets and from Legendary Realms. Reaper’s Bones line also includes some unpainted decor. 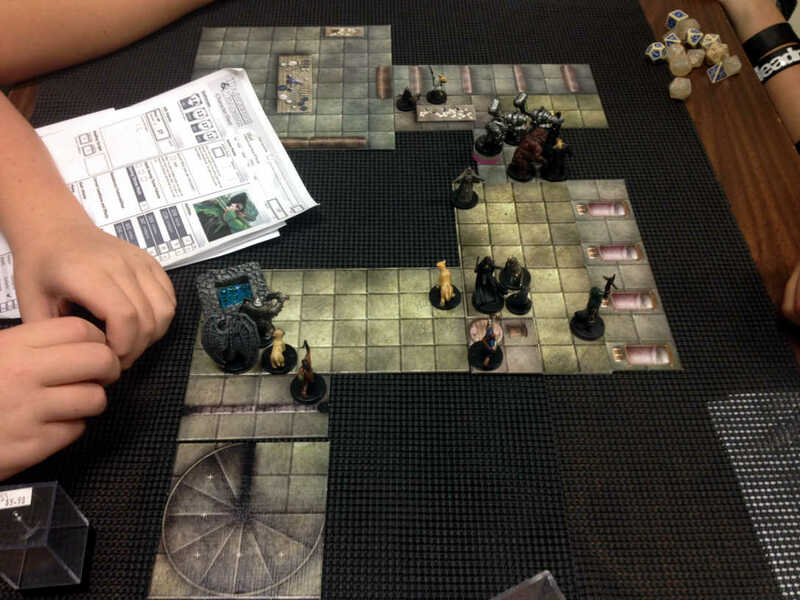 This entry was posted in Advice, Dungeon master's tools, Miniatures and tagged action points, Alea Tools, battle maps, dice, DM screen, dungeon tiles, initiative tracking, Litko Game Accesories, miniatures, organization. Bookmark the permalink. I’m a new DM and used your site to prepare. The initiative tents have really helped me keep track of something I would have lost control over. The gamers have said I’m doing great and love the storyline, creating a significant monster battle for level 1 characters, and a bunch of other stuff. I’m delighted that some of my advance has proved useful. Sounds like your game is off to a great start! Feedback from you and some other new DMs has led me to consider doing more posts aimed at getting started. Thank you! This is the most informative site I could find about what kind of supplies a good dungeon/game master needs. My boyfriend’s gm’ing for the first time since we got together. He’s a little unorganized & I wanted to surprise him with some gaming supplies! This was perfect! I have so many ideas & some shopping to do. My group and I had been using foam cutout status indicators, but it quickly gets out of hand with all the various status that a mid-heroic tier party can dish out. I just purchased the Alea Tools kit and thank you for pointing me in their direction! Hi, my husband has recently gotten back into DnD and is DMing a monthly game. When he leaves the house, he looks like a straight up Hobo… Reusable shopping bags, a laptop bag, and usually a few rolled up mats under an arm. Since you are clearly organized do you have any recommendations on how to transport all his gear is a better way? I’ve seen blogs and posts recommending those craft/tackle boxes… But I’d love to hear your thoughts. I want to support him and help make this a success for him and his friends. I love your set up. I have incorporated some of it in my set up. Thanks for posting your ideas. Wonderful article, with lots of great information and tools. I GM for a monthly game and play in several other monthlies, so I’m always looking for ways to be better organized. 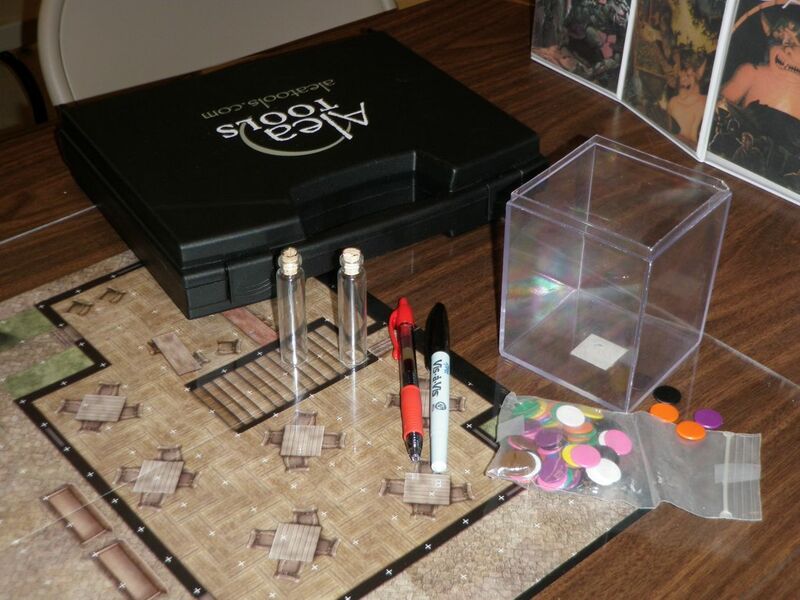 Do you remember the make/model of that deep organizer box you use? Thanks for the words of encouragement. A kind player purchased the deep organizer for me when they saw that my original suffered a broken hinge. I’m afraid I don’t know any specifics. Wal-Mart has them for about$10. Not to drop a comment on an old post, but the tips you gave out were awesome. I’ve been running a weekly game for about six months now, and your article has included several ideas I hadn’t thought of. I will be purchasing some civilian miniatures here shortly. One thing I wanted to add though that while I can see where those clear, flying stands would be useful, I would be afraid of those snapping. 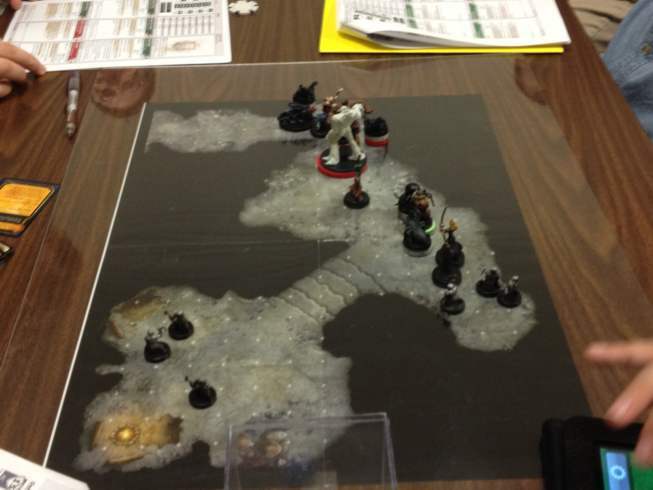 My group instead uses the clear plastic box that the Dice usually come in. Most minis can stand right on top of it and you can usually fit a mini inside it as well. When someone finds enough in an old post to inspire a comment, I’m always pleased. I’ve learned that the clear flying stands are so fragile that they’re very difficult to transport. 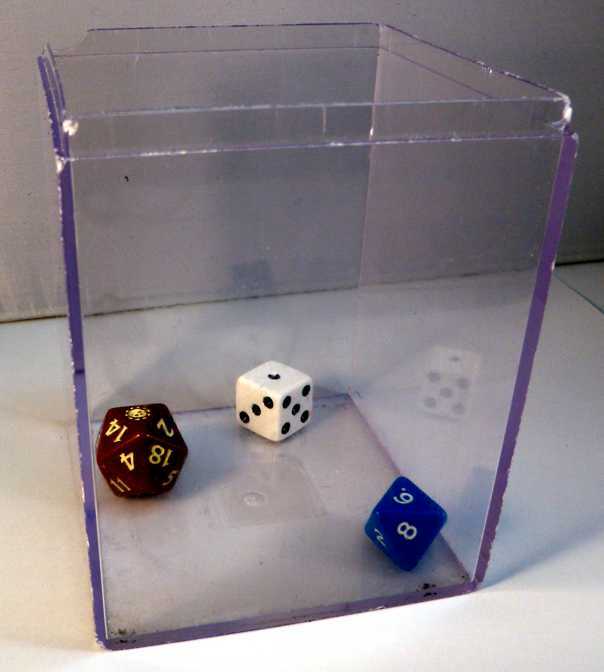 Until something sturdier appears, those clear, plastic dice boxes make a better alternative. Thanks for the suggestion! This is a very useful guide. One thing I’ve started using are plastic hourglasses as props for when a character is concentrating on a spell. Visual cue reminds the players and the DM that 1) spell can be interrupted and 2) character can’t cast a second concentration spell while the hourglass is “active”. Great idea! I think I’ll try something like that at my own table. Hey, thanks for this 🙂 I’m running a 3.5e d&d game at the moment and while I love your templates for the screen… is there any chance you can dig up some for the edition I’m using? 🙂 Thanks. This is really helpful though, it’s great research for my game as I’m new to being the DM. I love this article! These are great suggestions that I look forward to implementing. Thnx! This is so helpful! I tried GMing a Paranoia game about 5 years ago that failed miserably because I was underprepared. I vowed to not make the same mistake again as I’m DMing my first D&D game. So here I am doing a bunch of prep work. This really helped me know what will make my DM life easier! Thanks! !